Traxx Construction Products will be showcasing and demonstrating a whole range of products at the Concrete Sawing and Drilling Association Demo Day and Convention being held at the Melbourne Showgrounds on Thursday 21st February from 9am to 5pm. Early visitors can join Traxx and STIHL at the annual ‘pre match’ gathering at the Middle Park Hotel from 5.30 pm to 10.30 pm on Wednesday 20th Feb. Featuring a new system for the drive and especially for storing the diamond wire, the patented UNICUT winder unit serves as drive and wire storage at the same time. The electronics control the wire winding automatically, eliminating the need to interrupt the work process to expand the storage capacity. The UNICUT servo wire saw works with the proven servo drive of the CAPTOR wall saw. TRAXX will also display three new high frequency wall saws and five new drilling systems from DEMCO. 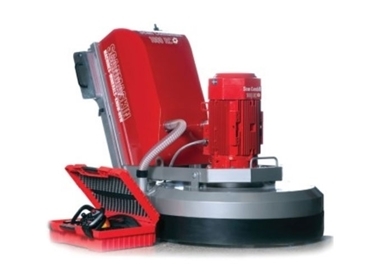 SC1000RC, a remote controlled grinder from Scanmaskin and TRAXX is setting high performance records in the surface preparation industry. The Mud Hen series of portable concrete slurry water systems has been designed for processing any concrete slurry quickly and reliably. Mud Hen provides clean water to drain or re-use, and compacts concrete sludge construction waste.